Now your bathroom can look pretty in pink with Palmer’s lotions. From October 2007 to June 2008, the age-old company is donating 10% of sales from specially marked pink bottles to the Susan G. Komen Foundation to help fight breast cancer. Palmer’s is also guaranteeing a minimum donation of $30,000. The selected bottles to go pink are the Cocoa Butter Formula, Oliver Butter Formula and Shea Butter Formula Lotions. So pick your favorite and stack up! The Cocoa Butter Formula Lotion has 100% pure cocoa butter, which heals and softens rough, dry skin and smoothes unsightly marks and scars. 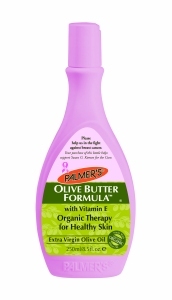 The Olive Butter Formula Lotion keeps your skin moisturized especially in cold weather with vitamin-rich and antioxidant-rich Certified Organic Extra Virgin Olive Oil. 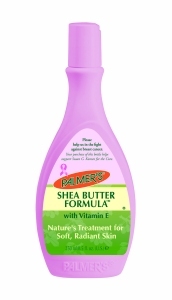 The pure shea butter and Vitamin E in the Shea Butter Formula Lotion gives a long-lasting natural glow and works quickly to combat dryness. 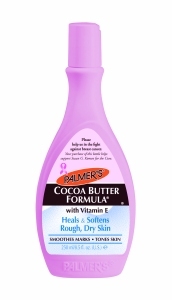 Get in on the fight and visit your local drugstore to purchase Palmer’s products.